Originally our property of 80 acres in Oklahoma was for our sons, Mark and Stephen, to ride dirt bikes on. In 2000, it became apparent we could add a new element to our original historic B&B business, romantic honeymoon cabins. Gary and the boys built 4 cottages over the next 4 years. We now offer 3 of the cottages for our guests for country getaways! Gary has built several homes and renovated many. Several inns in Oklahoma and Arkansas have Gary’s work in them. Gary, along with Martha’s brother Matt, keeps up the cottages and grounds. That means either a lot of mowing, or weed-eating or snow removal. Breakfast is prepared by Gary and Martha and set-up in your cottage for your arrival. You don’t want to miss Gary’s “to die for” vanilla butter sauce on your fresh waffles! There is a bottle of that syrup in your fridge along with either waffle or pancake batter for your breakfast plus a seasonal egg dish and fruit. Gary and Martha married in 1979 after growing up together around Deaconess Hospital in Oklahoma City, where both our folks worked. Celebrating more than 38 years of marriage and friendship, it is our desire to encourage and strengthen the bonds of love and marriage for our guests as well. Gary and Martha Hall, along with Gary’s parents, Hurshel and Edith Hall, purchased the historic home of Dr. Ruhl in 1989 to make into the Arcadian Inn. In 1990, they opened the Arcadian Inn next to the University of Central Oklahoma in downtown Edmond with 5 rooms, which eventually grew into 8 rooms. 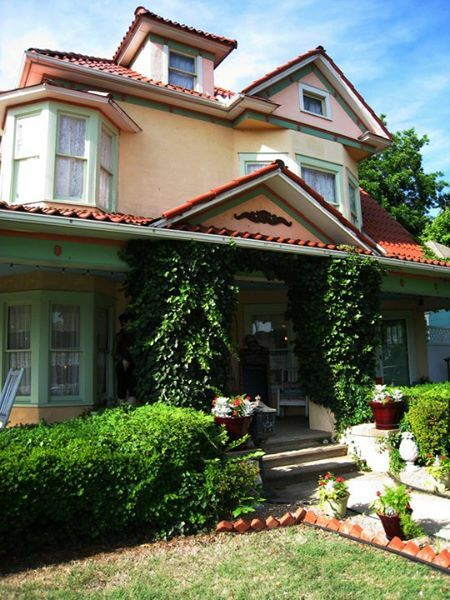 The Arcadian Inn won many awards, being named Reader’s Choice #1 Bed and Breakfast for 16 years in a row. The Arcadian Inn ended in 2016 after more than 25 years of hospitality. When we opened the Inn, Mark was 7 and Stephen 2! They grew up at the Inn, even home-schooled there. Mark has two children, Allie 16 and Christian 11 years old. Mark works for Acorn Internet Services, a website firm that specializes in Bed and Breakfast internet marketing. You can tell from this website, he knows his stuff. Stephen and his wife, Jenn, also have two children, Miss Rachel 2 and Asher born July 4th, 2017! Stephen works with an aquarium company, setting up and servicing aquariums. His salt-water tanks are fantastic! Both sons are building homes on the north side of the 80 acres. Though we no longer have the historic home Bed and Breakfast, we love hosting your stay at our cottages, Arcadian Getaways. Hospitality is in our blood, especially romantic getaways. It is our sincere desire that you have found the perfect place to run away together.